Bored of waiting three days from Monday to Thursday Night Football? 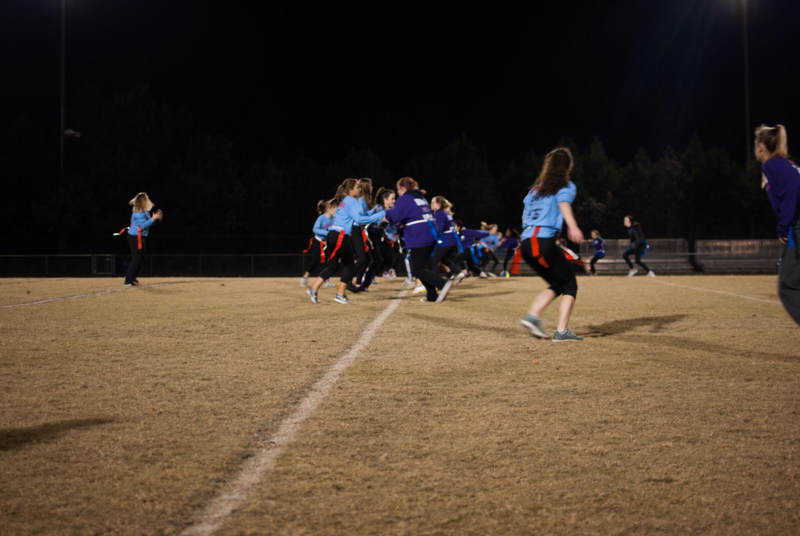 Well wait no more, Wednesday, November 28 is Carrboro High School’s annual powderpuff tournament. The tradition involves women playing flag football, coached and cheered on by their classmates. The tournament is a fundraiser put on by the Sophomore Class Council in order to raise money for prom. Additionally, each class is selling team t-shirts which can be purchased from the corresponding Class Council. Historically, the upperclassmen tend to advance past the lowerclassmen, however last year featured the first ever upset of the sophomores over the juniors. This has caused an intense rivalry among the classes of 2019 and 2020, who could play a rematch in the finals should they survive the first round. “There’s always a rivalry between the grades. I can remember some intensity displayed from both sides, but it’s all in good fun,” said Charlotte Ellis, 2020 class member. Teams have held practices, developed plays and even scrimmaged against each other in hopes of going down in history as the 2018 powderpuff champions. The tournament will start at 6:00 with the senior team playing the freshmen and the juniors playing the sophomores, shortly followed by the winners facing off in the finals. Be sure to show out and support your class as they take on the rest of the school. Next: Next post: Blended Classes and Block Schedule: Good or Bad?